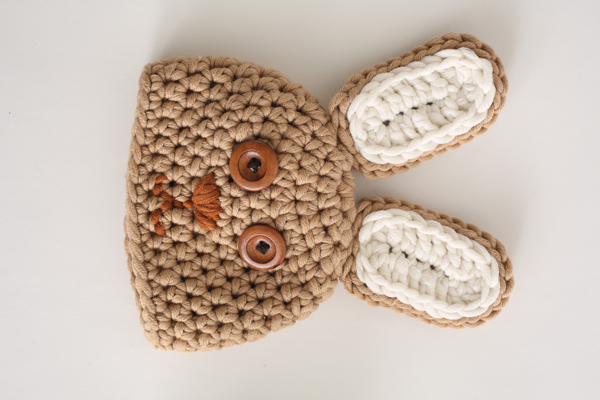 Accessorize your little one with this adorable bunny hat and diaper cover set. 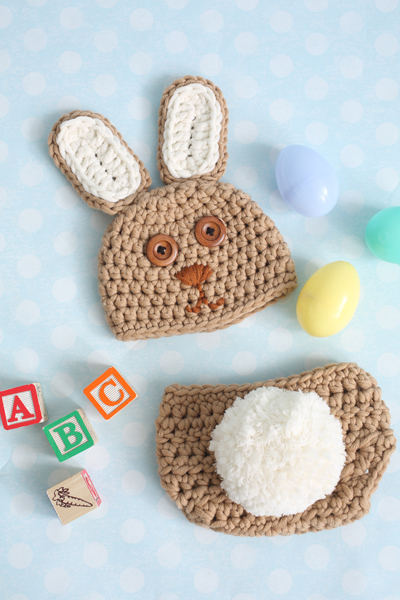 This easy pattern set, for sizes newborn through six months, is just what your baby needs for an extra “hoppy” Easter. 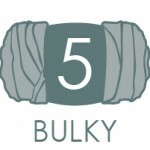 Rnds 6-11: Start crocheting in the 1st st from the previous rnd, hdc in next 40 sts. Do not sl st in 1st st of this rnd. 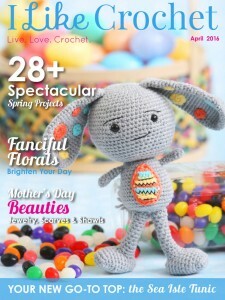 Rnd 12: Start crocheting in the 1st st from the previous rnd, 1 hdc in next 40 sts. Do not sl st in 1st st of this rnd. Rnd 13: Start crocheting in the 1st st from the previous rnd, sc in next 40 sts, sl st in 1st st of this rnd. Rnd 2: Start crocheting in the 1st st from the previous rnd, 2 hdc in next 3 sts, hdc in next 4 sts, 2 hdc in next 5 sts, hdc in next 4 sts, 2 hdc in next 2 sts, sl st in 1st st of this rnd. (28 sts). Rnd 1: Using CC and 7.0 mm crochet hook, ch 7, 3 dc in 2nd ch from hook, dc in next 4 ch, 5 dc in last ch. Working in the opposite side of foundation ch, dc in next 4 sts. 2 dc in last st, sl st in 1st st of this rnd. (18 sts). With tapestry needle, sew the 2 outer ears onto the hat towards the top. Sew the 1 inner ear inside each of the outer ears. Row 2: Ch 2, dc in same st, dc in next 29 sts. Row 3: Ch 1, hdc in same st, hdc in next 29 sts. Rows 8–17: Ch 1, hdc in next 10 sts. Row 2: Ch 1, hdc in same st, hdc in next 35 sts. Row 3: Ch 2, dc in same st, dc in next 35 sts. Row 4: Ch 1, hdc in same st, hdc in next 35 sts. Row 5: Ch 1, sc in same st, sc in next 35 sts. Rows 10-22: Ch 1, hdc in next 12 sts. With larger crochet hook and MC, attach yarn to the back of the diaper cover at the middle. Sc all along the edge of your diaper cover, sl st in the 1st sc. Sew 2 buttons onto the front of the diaper cover, making sure that when the diaper cover is folded closed that “Row 2” (“Row 3” for 3-6 month size) is above the buttons. 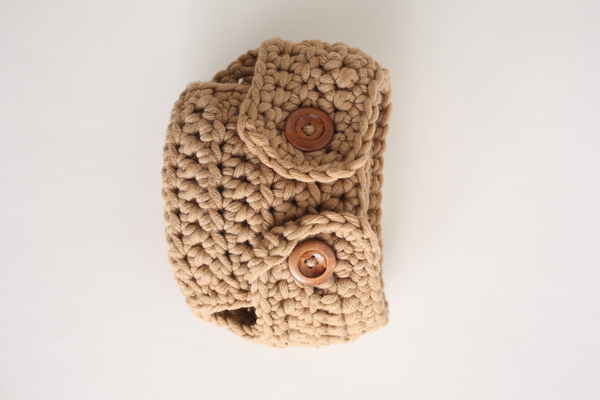 Easily adjust the size of the diaper cover by changing what double crochets you use as a buttonhole for the buttons. With CC, make 1 pompom. 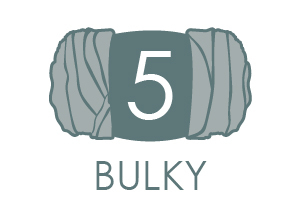 Make sure the pompom measures 4-5″ in diameter. With tapestry needle, attach the pompom to the back of the diaper cover. With tapestry needle and yarn (I used Maroon from the same collection), embroider “Nose” detailing onto the hat. Sew 2 buttons eyes onto the front of the hat above the nose, making sure to space them out evenly.